He is NOT to be trusted. 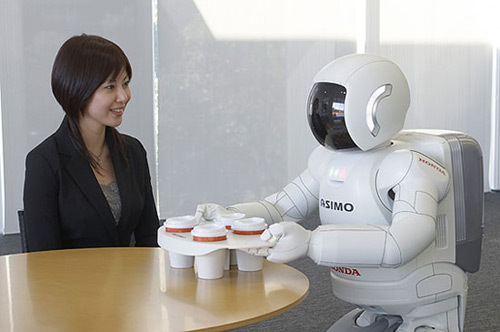 First he will replace the world’s interns and personal assistants by winning your trust when he brings you your half-caff soy latte just the way you like it, then he will be use his built-in milk-steamer/laser-canon to exterminate you and your coworkers during the robot uprising. Duh.